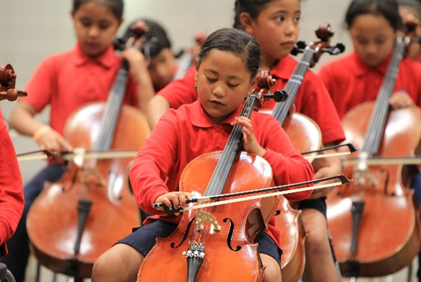 Our Hui Taurima is a highlight of the year and this year’s concert at Vodafone was a wonderful celebration of out very talented Sistema Aotearoa students. 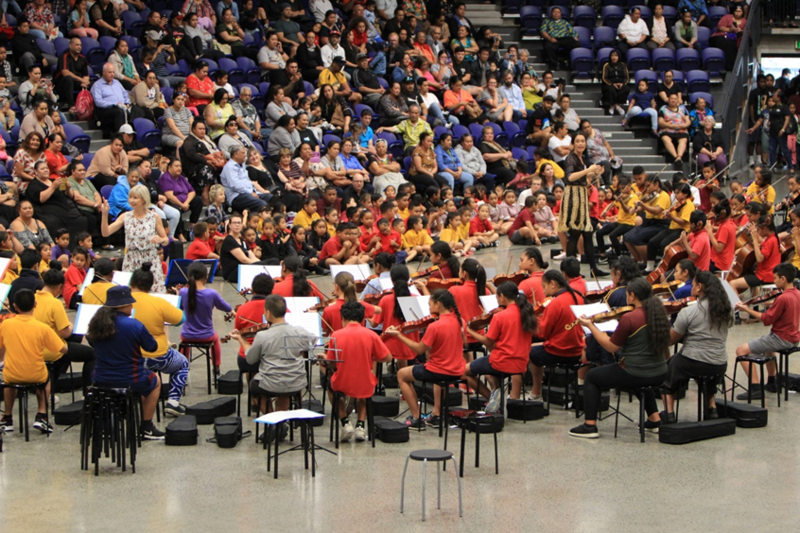 More than 350 students performed in the largest arena before over 800 parents, whanau and supporters. With 6 orchestras this year ranging from the newest who had only been playing on real instruments for a few weeks to the senior orchestra which played complex pieces including Vivaldi, Holst and Brahms and several chamber ensembles it was a musically-action packed 2 hours! The eclectic repertoire that combines Western Classical music with Polynesian/Māori, and other genres included Kafesi Niue, a Niuean traditional tune, arranged by a Sistema tutor, African, English, Mexican and French folk songs. Music from TV and movies ‘ Mamma Mia’ and Disney’s ‘Frozen’ had old and young in the audience singing along. 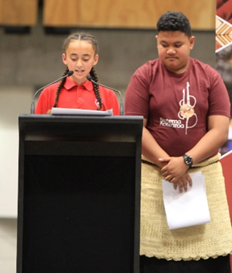 The Young Leaders team played a big part in the concert organisation – helping with group supervision, instrument set-up and stage changes and two Sistema students, Viliami and Tia, emceed the event. A change from 2017 was shifting from an afternoon concert, to early evening, a popular move meaning that more of families could come. Supporters commented on how confidently and efficiently the students made the required movements and the care they took of their instruments. “What impressed me the most was the standard of behaviour of the students. I’m an ex-teacher and I know how hard that level of concentration and commitment is to achieve.” Rae MacCormick , audience member. The combined orchestra performance, skilfully double conducted by Whaeas Jess and Peau was the event’s biggest hit – 150 violins, violas, cellos and double bass all in (almost) unison – fantastic! A big thank you to all our supporters and funders who took the time to come along and share the student’s success with us – we couldn’t do it without you.